London– The Organization for the Prohibition of Chemical Weapons said on Wednesday that sarin or a similar banned toxin was used in an attack in Syria’s Idlib province on April 4. Reuters quoted the organization’s director, General Ahmet Uzumcu as saying that the results of the analysis “indicate that sarin or a sarin like substance was used”. The finding was based on tests on bio-medical samples collected from three victims during their autopsies that were analyzed at two OPCW-designated laboratories, the OPCW said, according to Reuters. “Bio-medical samples from seven individuals undergoing treatment at hospitals … (also) indicate exposure to sarin or a sarin like substance,” the statement via Reuters said. The suspected attack on Khan Sheikhoun in Idlib killed at least 87 people, including many children, and images of the dead and of suffering victims provoked global outrage. In an exclusive interview last week with AFP in Damascus, the head of the Syrian regime, Bashar Assad, said the chemical attack was a “fabrication” to justify a US missile attack on Syrian forces. Earlier on Wednesday, France said it has proof that the regime used chemical weapons in the attack on Khan Sheikhoun. 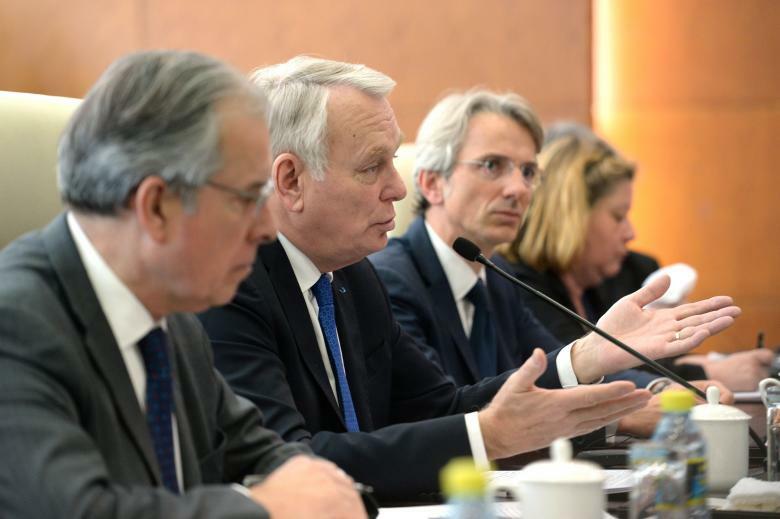 French Foreign Affairs Minister Jean-Marc Ayrault said that his country’s intelligence services would provide proof in the coming days that the Syrian forces have used chemical weapons in the attack. “There is an investigation underway (by) the French intelligence services and military intelligence … it’s a question of days and we will provide proof that the regime carried out these strikes,” Ayrault told LCP television, as reported by AFP. “We have elements that will enable us to show that the regime knowingly used chemical weapons,” he added.